Le Garde-temps, la Naissance d’une Montre is aiming to safeguard and transmit traditional know how. The main reasons for this lie in the different crises of watchmaking industry, especially that “of quartz” and the progressive robotization of industry by means of numerical controls. The leavings, the deaths and the race for profits were the primary vehicles. As Philippe Dufour put in: “cemeteries are full of secrets”. 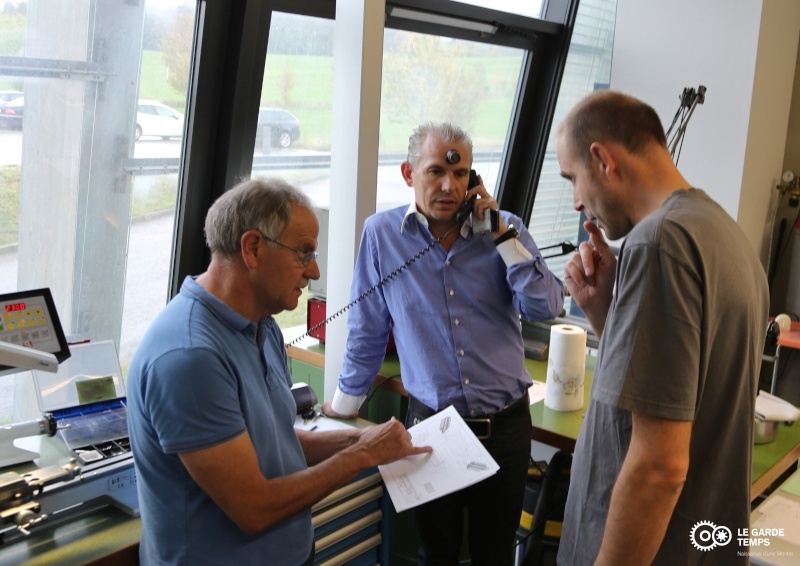 Aware of that problem, and facing the industry’s relative indifference, Robert Greubel decided to take the bull by the horns, initiating a preservation of know how project, on the modest scale of Greubel Forsey. The best way to tranfer knowledge is to have some teaching skills, and it’s even better to actually be a teacher. So, in July 2010, Robert contacted a long-time friend: Michel Boulanger. The latter, motivated by learning, moved back to his workshop in Chartres, France, to teach in Paris. They had been considering collaboration for a long time, and this was a godsend for Michel. In order to stimulate his creativity, Robert asked him to think about a project that would reflect his vision of transmission. Robert suggested Michel create a watch from start to finish, using traditional tehniques called “conventional” that would allow him to become a learner again. That also meant that Michel couldn’t use any numerical control machine. the whole production had to be either done by hand with the appropriate tool, or with a lathe or a milling machine. However, the design stage had to be run on a computer. The intellectual maturation phase of the project had been quite long before the selection of the tool was made. During this phase, Michel presented some ambitious projects, perhaps too much, as he wasn’t yet aware of the inherent constraints. Indeed, La Naissance d’une Montre is one of the rare pieces produced on the basis of a brand new designing, which means that the mechanism was born from the imagination of Michel and developed by the NM team rather than being the copy of an existing calibre. During that phase, Robert decided on two major aspects: le Garde-temps has to be a simple watch (HMS) with a traditional tourbillon, and Philippe Dufour must be one of Michel’s teachers. Robert is the project manager of NM, he allows the members of the adventure to push back their personal limits. Stephen Forsey : he’s Robert’s partner and also the ambassador of GF and NM. During the long conception phases, he intervened to validate the main technical orientations. 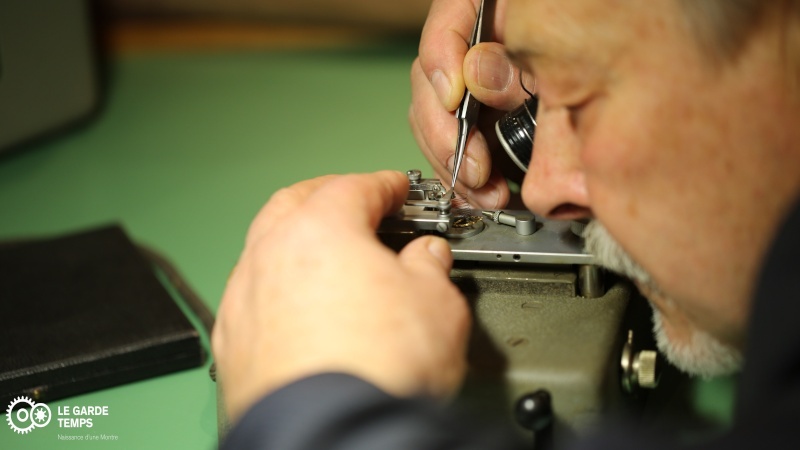 He started watchmaking early on, in the family workshop. Using pieces of meccano, he validated the technical concept of the Double Tourbillon 30°. 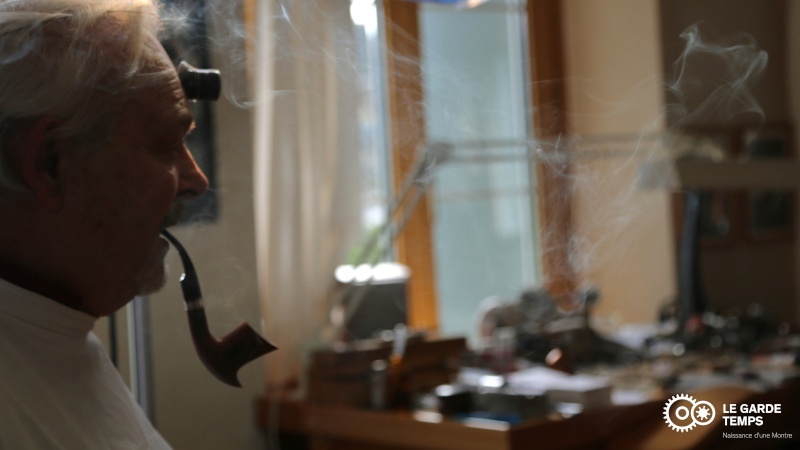 Philippe Dufour : the master Yoda of watchmaking. In Japan, “ “a living national treasure”. He is so cult down there that he’s even portrayed in a school manual in the form of a manga. By presenting the Simplicity in the early 90’s, Philippe pushed the finishing standards of watchmaking. His knowledge is as vast as his hand is sure, and even excellent watchmakers such as Didier Cretin can hardly keep up. This is the failure of Philippe, he hasn’t been flexible enough with his apprentices to transfer them all of his expertise. As Master Yoda, Philippe isn’t a whiz at teaching, but everything has changed with his Padawan Obi-Wan Boulanger. Sévérine Vitali : Those who know well Greubel Forsey have already met her. She undertook a classical watch training at the French border. She also worked for Renaud & Papi, prior to joining Greubel Forsey at the beginning of the adventure, in 2004 (remember,I talked about it in the interview of Nathalie Jean-Louis LINK). Since then, she has substantially honed her craft and she’s currently responsible for the finishing workshop at Greubel Forsey. Notably, she teaches the sand-blasting techniques to Michel. Jean-François Erard : though not yet a household name, he’s an elite precision mechanic, who has worked a lot for the greatest manufactories. In particular, he designs gongs for striking watches. He changed the supply picture by developing monobloc gongs at Renaud & Papi in the 90’s. 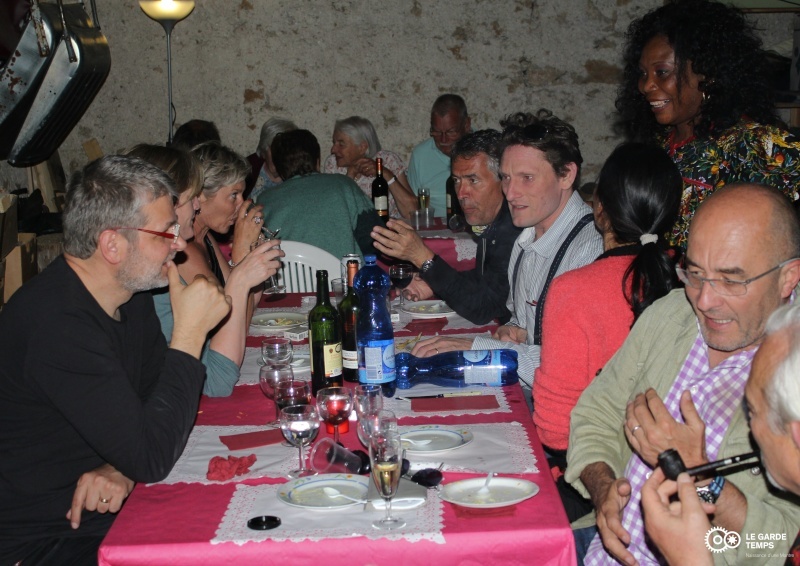 Jean François is about to retire, and the NM project is an opportunity to share his know how with Michel. 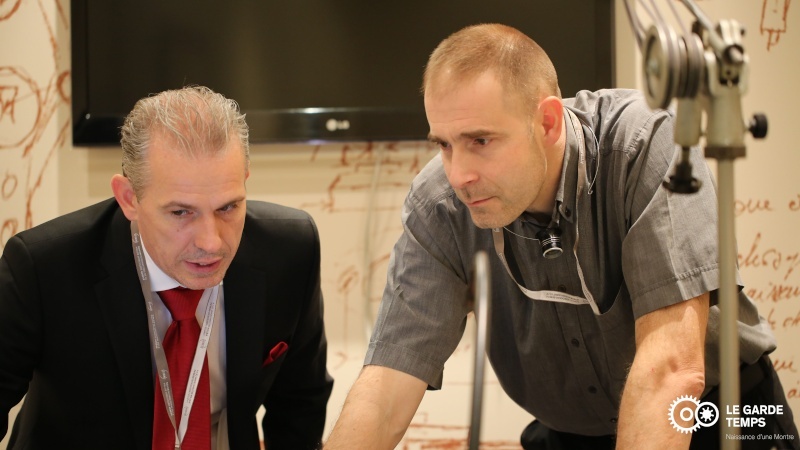 He assists Michel with the design of the production procedures of the garde-temps’ components, in particular with Schaublin 70 & 102 lathes and the milling machine. Michel Boulanger : he’s “the hero of the adventure”. 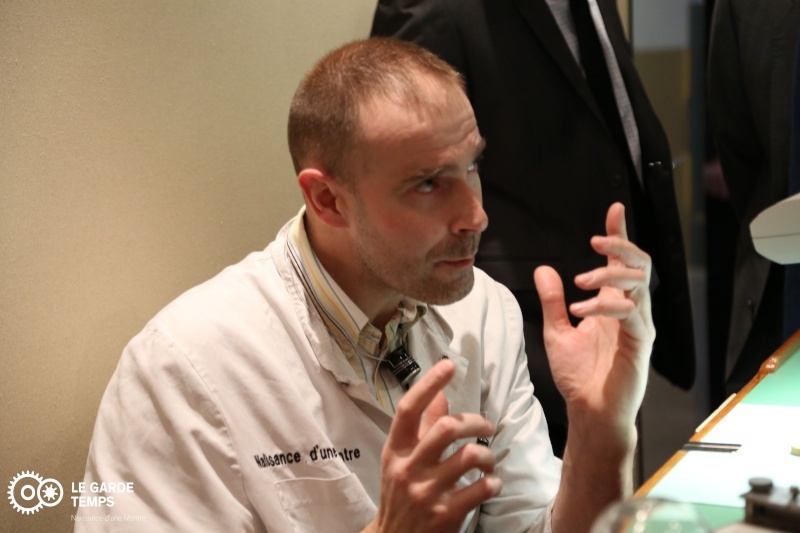 At 46, the six-foot-tall watchmaker is litterally the tallest of his generation. Michel fell into watchmaking as a child, as his father owned a clock restoration workshop in the south of Chartres. After obtaining watchmaking qualifications, he had a taste of Swiss industry, working at Renaud & Papi, where he met again Robert and was introduced to Jean François. But Michel was interested in teaching, so he passed the competitive examination of the French National Education, and he’s been teaching watchmaking for many years now at the technical college Diderot, Paris 19th. The Schaublin 70 lathe : any self-respecting hero has his super-tool: car, sword or gun in all good movies, novels or series. From Arthur and Excalibur to the dirty Harry’s 44.Automag, or the Michael Knight’s Pontiac Trans Am K2000. The point is Michel’s 70 lathe is a lot more customisable than the latter, which however have caused scores of wet dreams among tuning fans. The 70 lathe is crucial in NM, as it’s Michel’s main tool, the one he uses two-thirds of the time ( and 90% of the “tool” time). The 70 lathe was presented in 1925. 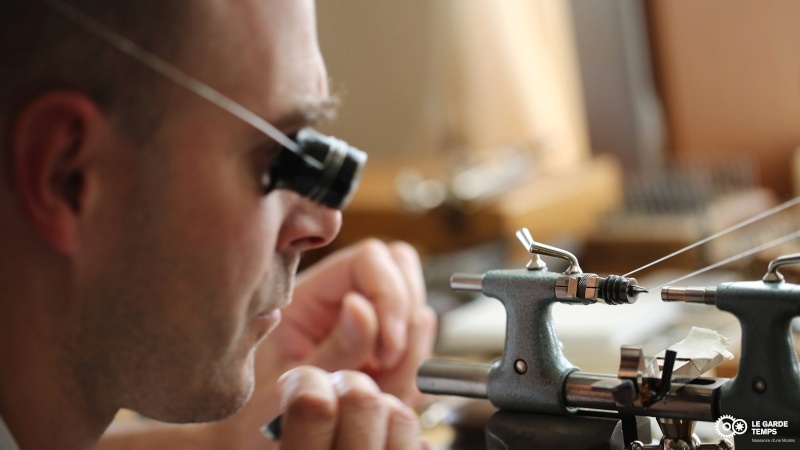 It was requested by the watchmaking industry, with a will to standardise the equipment, with a versatile lathe allowing to work on micro-scale. It’s 600mm long*120mm high for a tare weight of 13,5kg. 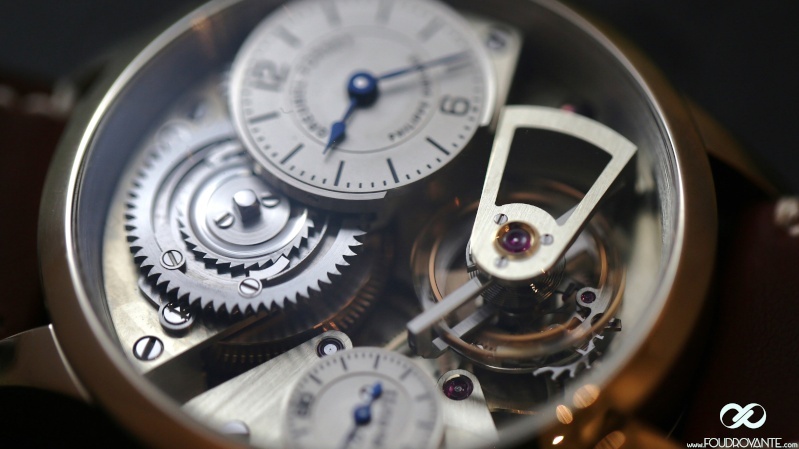 It is particular in that it is still produced nowadays, and thus endowed with a plethora of accessories specially designed for a watchmaking-scale use. Any young watchmaker can purchase a second-hand 70 for 3000€, and fit it with accessories as it goes along. But the story of Michel’s 70 lathe is way more excinting. 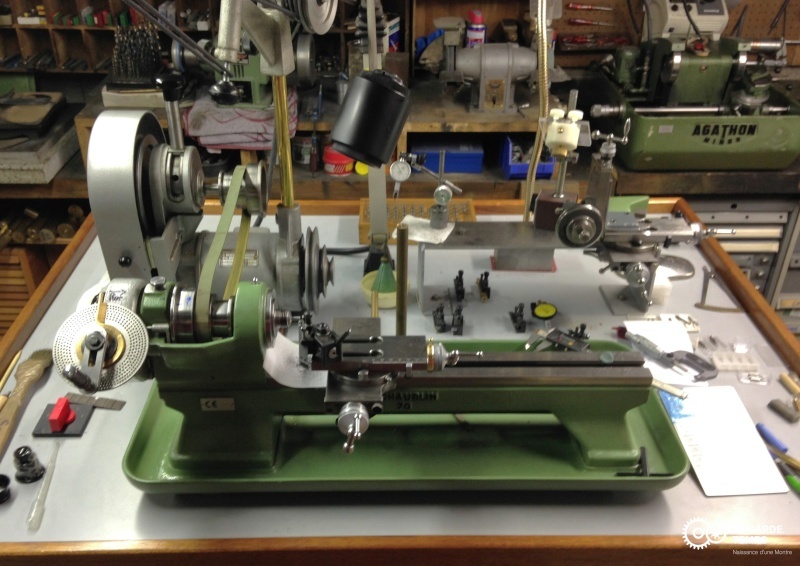 This lathe belonged to Robert, and he gave it to Michel in the beginning of the 2000’s, just when the GF adventure started. Within the context of NM, this handover is hugely symbolical. Le Garde-temps : this piece is something of a Holy Grail, as it is more of a pretext for an initiation quest through the lost paths of traditional know how rather than an end in itself. Intellectually, while a car or a pair of shoes have practical purposes,a watch is a pure abstraction, an artistic creation. This one will be the vehicle of the perpetuation of old contemporary watchmaking master’s expertise. The production target is modest, 11 finalised Garde-temps. It actually means that Michel should probably produce triple, if account is taken of the rejected pieces and components retained to ensure the future after-sales service. The Garde-temps will be round and will have a dimension of 45mmx32mm, for an approximate weight of 220 grams, with a frequency of 18000bph for a minimum of 36h of PwR, in the spirit of vintage pocket watches. It will be a simple piece with no stricto sensus complication, but however equipped with a large one-minute tourbillon of 18-mm diameter. ●	Double click called “de la Vallée de Joux”, instead of the Breguet pinion. This system can be found on the Grandes sonneries. This implementation was a Philippe proposal. ●	No seconds hand on the frame. ●	Independant time-setting system (no motion-work system attached to the going train, the time-setting is connected to the barrel). ●	Wolf-tooth at the barrel level. PP : how did the adventure start for you? PP : like Gary Kildall who missed the MDSOS sale at IBM in 1980, you nearly missed the deal of the century too, didn’t you!! PP : what did you have in mind? Several complicated projects, including chronographs, countdowns, grandes sonneries… some stuffs that might not have worked. Besides, some of them were focussing too much on watchmaking, and not enough on the learning process. So we decided to go back to the beginning: I make the watch from A to Z (apart from a few elements, such as the rubies, the balance-spring and the barrel spring), with pre-quartz-crisis tools and alloys: watchmaker lathe (including the 70), spiromatic, mechanical calculator, profile projector, jig-boring machine, tap and die, ect… I work with tools from the 50’s, 60’s, 70’s 99% of the time, and most importantly, the constraint is the following: no numerical control machine (LINK the watchmaking farmer). Every action is manual: I push the chariot myself toward the chisel, and if I’m nervous or tired, I spoil my part. PP : how did you manage to master all those old tools? MB : Robert suggested that Philippe joins NM, which strenghtened my desire to move forward on the Garde-temps and I wasn’t disappointed. Philippe transmits openly, in full-hearted partnership. He’s very generous, the antithesis of “taiseux” (for montain dwellers, the term refers to an individual who remains silent). He’s as communicative as he is difficult to work with, with a high level of demands, which is not unnecessary given the NM constraints. PP : can you tell us more about those constraints? MB : the NM project combines as many constraints as possible: the use of old and little productive tools, diffucult to adjust , together with the high level of demand required by GF and Philippe Dufour in terms of finishings, reliability, chronometry or level of interchangeability of the parts. It is intrinsically very challenging to produce 11 pieces from A to Z in my own garage, with Robert and Philippe as excellence keepers. It’s a constant challenge to go beyond myself to reach the ultimate objective. PP : When did you start the production? MB : wooh, not so fast, we’re in septembre 2011. I got 100% involved in NM, it was the beginning of the adventure and the work sessions were full of people. We wasted a lot of time during the first year, because every one had an opinion (some said I should try to do like this, like that...). The postive side is that all this contributed to the tremendous evolution of the drawings. Compare the first version of the calibre and the one we have today, it’s like night and day. There have been around ten different drawings of the calibre and more than twenty of the tourbillon cage so far, mostly in 2011. MB : it was the SIHH: we presented NM to the public for the first time. Most of the people had come to see Philippe. We hadn’t communicated much on the project, we’d just said that we were making a watch without any CNC intervention. It was well received, but the people didn’t really understand. They were still a bit sceptical, which is natural. It was difficult for them to picture what we had in mind, as we still hadn’t presented any concrete watch. PP : then you started the production? MB: We continued the discussions from 2011. By confronting the theories of 2011 with the reality, we realised that they were obsolete, for lack of a global vision of the production of a piece from A to Z with no numerical control. With Didier Cretin, we conducted historical research at the storeroom of the International Watchmaking Museum (thanks to Mr Piguet) and at the storeroom of the Musée du Château des Monts (thanks to Gerald Vouga). We only met really cool people who gave us complete accessibility. We consulted everything between 1750 and 1850. Our discussions mainly focused on the production of the pieces, how many and what type of wheels, and the methodology of the traditional fabrication. This was a crucial step to push back limits of my mastery of the 70 lathe. PP : destination SIHH 2013 ? 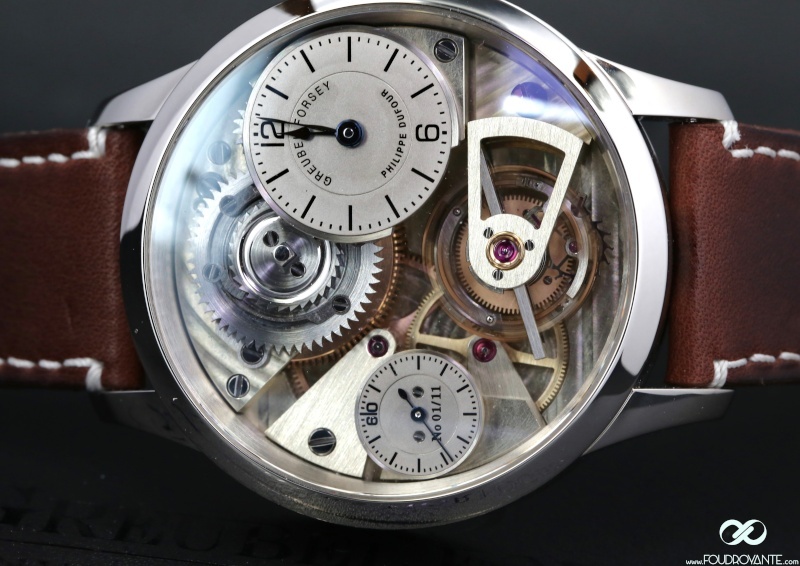 MB : we wanted to introduce the finalised tourbillon cage to the public. We made some mistakes in terms of production. Thanks to JF Erard, the drawings evolved considerably. I took two months to produce the first frame. 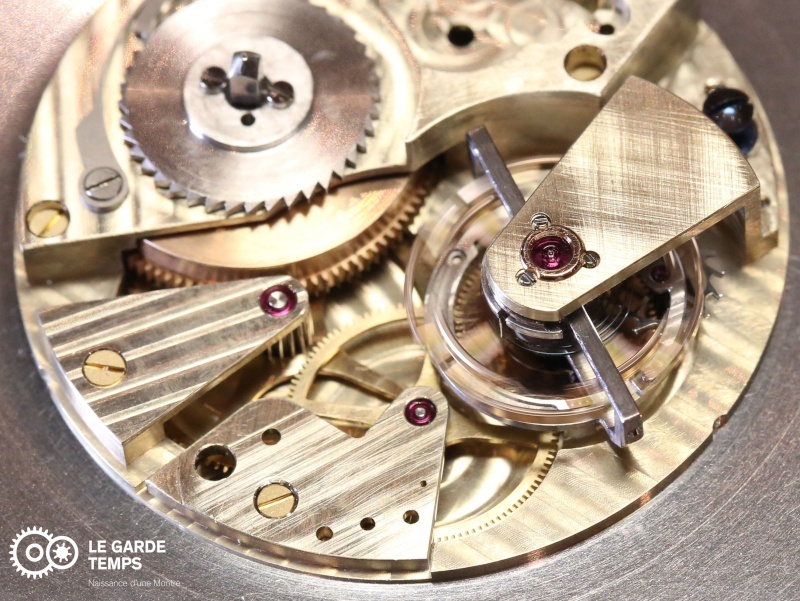 At the same time, we continued to develop the winding/time-setting part of the Garde-Temps. Once at the SIHH 2013, we had achieved our goal: the frame was there: partial case (bottom, top + the two carriage-bridges)+ balance, all installed on the plate. As it started to look concrete, we could feel a slight quivering, in particular because we communicated on the functions of the Garde-Temps. PP : This is 2013, is the project taking shape now? MB : we’re clearly at the heart of the action. Our objective was to hear “tic tac” from the movement at the SIHH2014, without targeting the chronometric accuracy. This was a huge challenge. Indeed, I had to produce 90% of the components (mainly the moving parts)and make it all work! 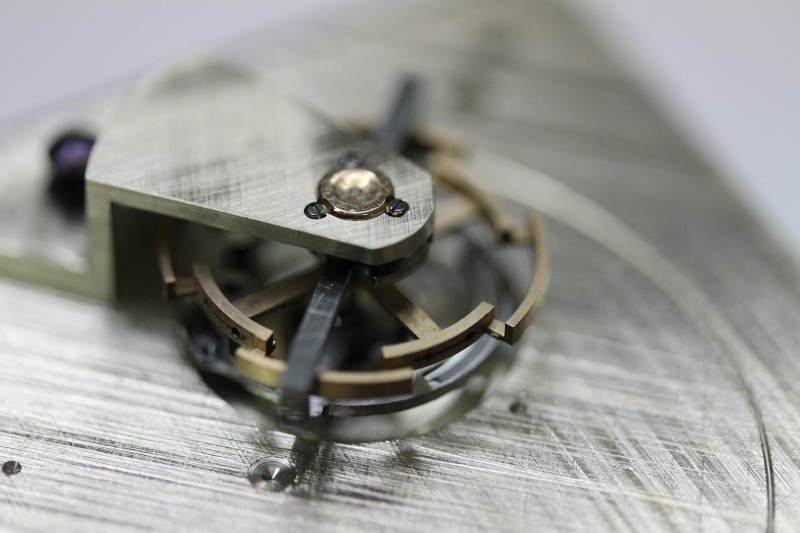 In addition, like every year, we slightly improved the plans… In particular, we removed an arm and a screw on the tourbillon cage, which reduced the weight by 30%. This year was especially intense, because I thought that the plans were definitive. I produced some micro-series of 5 or 6 pieces. The numerous videos on the Garde-Temps web site were made at that period. PP : 2014, after three years of maturation, the first concrete result? 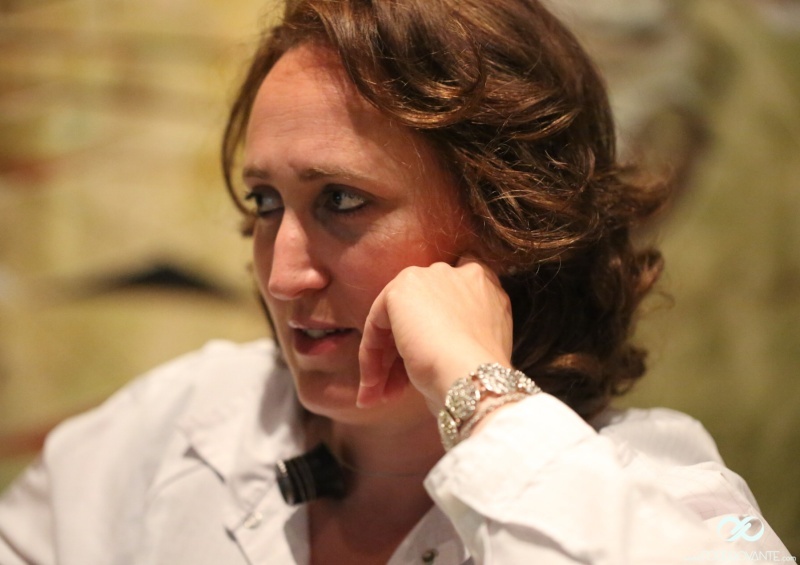 MB : the big issue for the SIHH2014 was to have this working movement… I worked very hard. Eventually, I was ahead of schedule, I could hear “tic tac” the saturday morning before the SIHH!! And above all I was very proud because the mechanism, in its most basic form, worked during all the SIHH despite a simple glass dome covering it, and it’s still working today!! PP : were there any changes during the year 2014? MB : well, indeed, Didier suggested an in-depth re-examination of the plans of the Garde-Temps, which Robert accepted, still with this orientation for excellence... it was complicated for me, I wanted to improve my movement, already produced in micro-series... additional constraint: I had to go back giving classes in september 2014, and lastly, I had to perfect the production of the Breguet-overcoil spring with Philippe. Finally, iI made a whole new movement. I saved a few parts, but most of it had to be revised, in particular the plate and the bridges . I remanufactured 60% of the parts that year. PP : impossible task ? MB : yes and no, because without the help of Jean-François Erard, I would have waste some time as the latter was becoming a rare commodity. His precious advices provided me a better understanding of the turning and milling, and I could produce and assemble the components. The case was another issue. We agreed to use a service provider, who had to respect our qualitative requirements and production constraints: no use of numerical control. PP : that’s crazy !! you even worked on Christmas day to present the assembled Garde-Temps at the SIHH? MB: Yes, but it was worth it, because I finalised the whole assembly of the Garde-Temps in extremis. The success was proportional to the stress, I couln’t take any lunch break during the show. I decided to accompany the Garde-temps wherever it was going. I thus attended the conferences, but also the meetings with the collectors and the retailers… And I have to say, it was kind of a strange feeling, when you have spent so many hours producing a watch in your cellar. Icing on the cake, I could bring two of my students with me, which was a beautiful symbol of the transmission spirit behind NM. MB: This copy of the Garde-Temps is going to be sold at Christie’s, in May in Geneva, as a school-watch, that’s to say without the finishings. This will be a good test of the enthusiasm of collectors for the Garde-Temps. The Time Aeon foundation, which was at the origin of the project, has become the platform for knowledge-sharing of NM. Several institutions, retailers and watchmaking houses have joined us, and the project gets bigger as the Garde-Temps takes shape. For instance, the FHH offers us a whole little stand during the SIHH. PP : what did you learn this year? MB: The decoration, the last step! I approached it a bit differently, because I knew nothing about it. But to keep this experience fun, I wanted to keep a fresh eye. In order to learn, I decorate and polish on my own, then I show the result to Séverine and Philippe so they can teach me their methods. The advantage is that failure provides an incredible experience: it’s tough, I spoil parts, but my learning isn’t linear, it’s more pertinent, I get a better understanding of the whys, and I recall information better. It also helps me perfecting my machinig skills: a well-machined component is easier to decorate. To me, learning is a quest rather than a reproduction of knowledges. PP : which aspects of the decoration have you worked on? PP : is the year 2015 much slower for you? MB: Yes and no. The decoration part is super exciting, it’s great because the piece really gets magical at that point, it’s the culmination of the first phase. PP : the first phase, isn’t the project completed yet? MB: This is just the beginning. 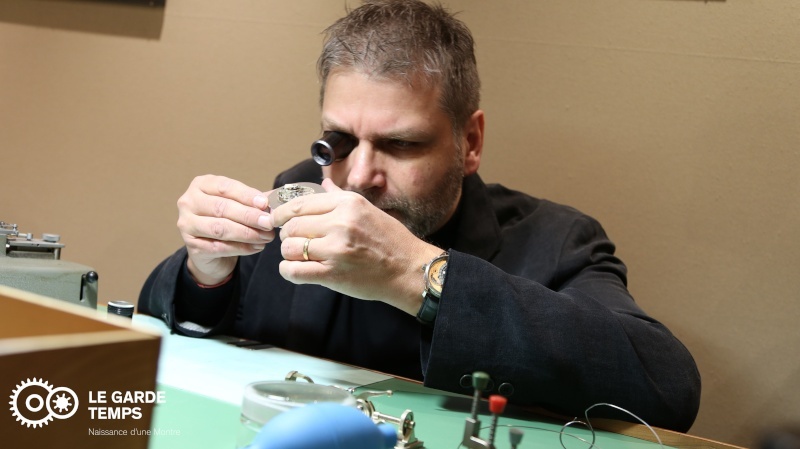 First of all, I have to finalise the production of the 11 Garde-temps, which is far from being done… Then, and this is the objective of NM, I have to train a few young watchmakers, so one day some others will be trained by them. In a few years, I will probably be done with NM but, ultimately, the project is designed to outlive us all, so that the great watchmaking tradition will never again be forgotten . 50 years of the Tag Heuer Carrera, 50 years of research and innovation.